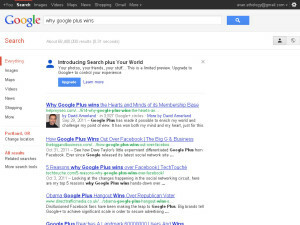 I have had a lot of discussions with people on if Google Plus will succeed as a social media platform. The most recent change in the Google+ interface has sparked this conversation in the office again. 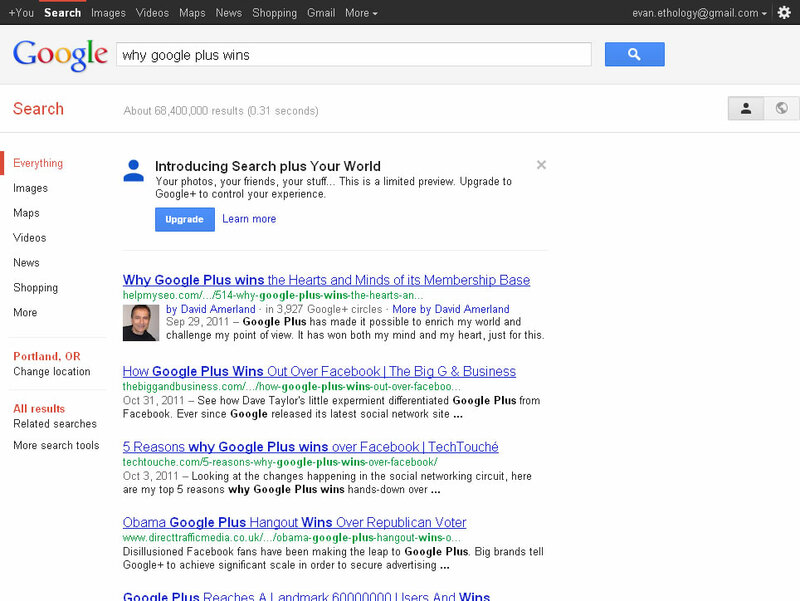 I don’t think Google+’s success is an "if," it’s a "when." With the biggest launch of a social platform we thought we knew and expected Google+ to be at least as successful as Facebook by the end of the year. And why not? Google had done well with it’s other primary offerings, innovating and giving us new ways to search, view and consume data. Where do you go to find a map, image or online advertizing? The same place everyone else does. Nothing, that was the problem. There was no overbalancing feature that people would want to leave their own platform for. Sure they had circles, but Facebook added Groups. They have Hangout, but Skype doesn’t require you to join a social network. So no one made the switch. Was successful because they built hype, made signup convenient and, well, they’re Google. They have the users, but none of them are interacting. Google even went to the trouble of integrating all of those missing interactions with search. This allows people to see all of the interactions that are not happening in their search results. Google probably hoped that would encourage us to interact more. So that’s when they succeeded? Nope. We didn’t interact. They’re now integrating as many products as they can. The android phone has a Google browser which is defaulted to Google search so you can buy your apps at Google’s Play. When logged in, Google’s play is now part of Google search, as well as Google+, Picasa for your photos, Gmail for your email, Places as your yellow pages, maps to get you around, and videos have now become YouTube. They’ve got the look, feel and sound of Apple with all the appeal of a nerd geeking on Star Trek. Close enough. After all this bashing you are probably wondering why I still think there is no "if" in Google+. It is because of the image to the right. I have an account on one of my browsers with no Google+ account. Every search now includes that advertisement. Without ads it sits at the top of the page. With ads, it sits right below the ads. It’s not going away. And there’s the rub, it doesn’t really matter. I can imagine what their hopes are: if everyone signed up for Google+ they just wait for people to get tired of Facebook or hope Facebook makes some significant mistake that causes folk to look for a Facebook alternative. And that will be when.